Have Fun Teaching! : Worksheets, coloring pages, flash cards, activities, videos, songs and more tools that teach every standard. 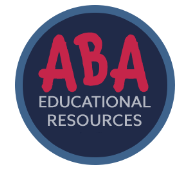 Includes downloads for free resources materials and other items for purchase that are specifically designed for ABA programs. 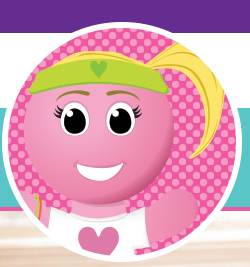 AutismClassroom.com is an online resource for parents, educators and administrators about setting up classrooms, setting up home and teaching children with autism. AutismClassroom.com provides free teaching materials, information on free and low cost trainings and mobile apps. This tool kit is intended to be a support for the general education and administrative school staff who interact with students with autism in various capacities. The DT Trainer (DTT) is like having an extra teaching assistant in the classroom or home. The product incorporates principles of Applied Behavioral Analysis (ABA) enabling independent use by some of the most challenging to educate individuals. The DTT is used in over 1100 school districts, hundreds of private institutions, & thousands of homes from young children to adults whom are developmentally 2-9 years old. There are over 256 content programs 100s of selectable reinforcers. This program provides free monthly webinars and "live chats," free lesson plans, and online discussion forums to help teachers connect and collaborate on the best practices for supporting students with autism. Educate Autism is a website dedicated to helping those working with children with autism by providing free teaching materials, various tutorials to help you make your own teaching aids and articles to provide information about teaching methods and behavioral principles. Includes everything from examples of social stories and visual supports to information of ABA terminology that is frequently used. Assisting students in understanding social interactions and controlling their emotional response. Includes free CD with blank scales. National Association of Special Education Teachers : A national nonprofit promoting the profession of special education teachers and providing a forum for conversation and dissemination of best practices, including ABA techniques.